Plan to attend Connections? Looking for more information on the marketing, commerce, and service event of the year? Or just want to engage with the Salesforce Ohana? Then you have to get on The Road to Connections! Think of this web series as the drumbeat that leads up to the event in Chicago from June 17-19. Because we are already counting down the days and getting ready for the customer engagement event of the year, we're excited to announce that we are taking our tried and true formula of the live broadcast, The Road to Dreamforce, and bringing it to our Connections audience. The fun starts on April 30 at 11 a.m. PT with all episodes airing on Salesforce Live and Facebook. What is The Road to Connections? The Road to Connections is your go-to show for all things Connections (and more!). Each of the four episodes will provide a deep dive into topics like Connections programs, top sessions, Agenda Builder, newbie tips, and where to eat at the conference. In short, the kind of stuff we know you'll love and actually find useful. Additionally, we'll put together featured weekly content segments and special guest interviews. Get breaking news, including The Big Party band, keynote speakers, logistical information, and more. And you never know — there might even be a few unexpected Astro sightings along the way! As we get closer to the event, viewers will also be able to ask the Dreamforce team and our guests questions to get answers in real-time during the show. 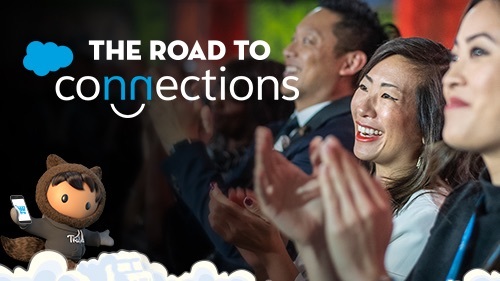 Just use the hashtag #RoadToCNX19 or @ mention the presenters themselves when sending us your questions. 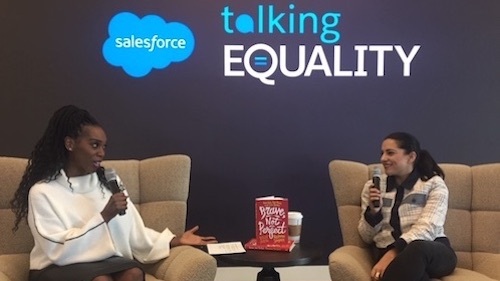 So, be sure to check out the Dreamforce Facebook and Twitter pages, along with the Connections groups on the Trailblazer Community, where we will source questions and interesting quotes for future episodes. Keep your eyes and ears open for some big time shout-outs, too! How is this different from The Road to Dreamforce? As this is a new program for Connections, we are starting strong yet at scale. We will have four 30-minute live episodes starting on Tuesday, April 30, and air an episode every other week in the lead-up to Connections. But we won't leave you hanging on our off weeks! Look out for additional short video segments published on the Tuesdays when we won't have a regular episode. We will still produce content that provides information and tips to help you make the most out of the three days of the event. 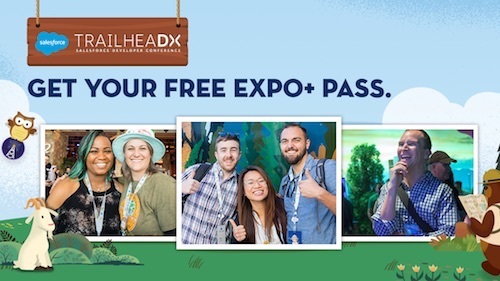 Learn about must-attend sessions, keynotes, events, and parties, to make this your best Connections yet (whether it's your first or your fifth). 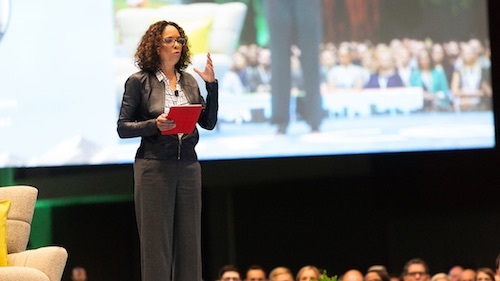 This year, Salesforce Connections offers more opportunities to learn than ever before! This means more workshops and deep-dives. You'll learn about the latest innovations in digital marketing, commerce, and service — including getting hands-on with all of our products and solutions. Salesforce reimagines the way companies connect with customers in every industry. Find out how this laser-focused approach drives customer happiness like never before, and how that will show up at Connections. Get the most out of your Connections experience. Find out the best way to prepare for the conference, learn the ins-and-outs of the campus, find out how social media can enhance your Connections experience while keeping you in the loop on everything from partner parties to awesome swag (and so much more!). If you can’t get to your computer to watch it live, don’t fret. All episodes will be archived to view on-demand within 48 hours of the live stream. We're really so excited to share this journey with you in the lead-up to, during, and even after the big event in June. We hope you'll join us every step of the way. Get on The Road to Connections!